I can’t pinpoint the exact date or even year I had risotto for the first time, but I remember the restaurant – Janice’s Bistro. I think it had scallops. It was a revelation. 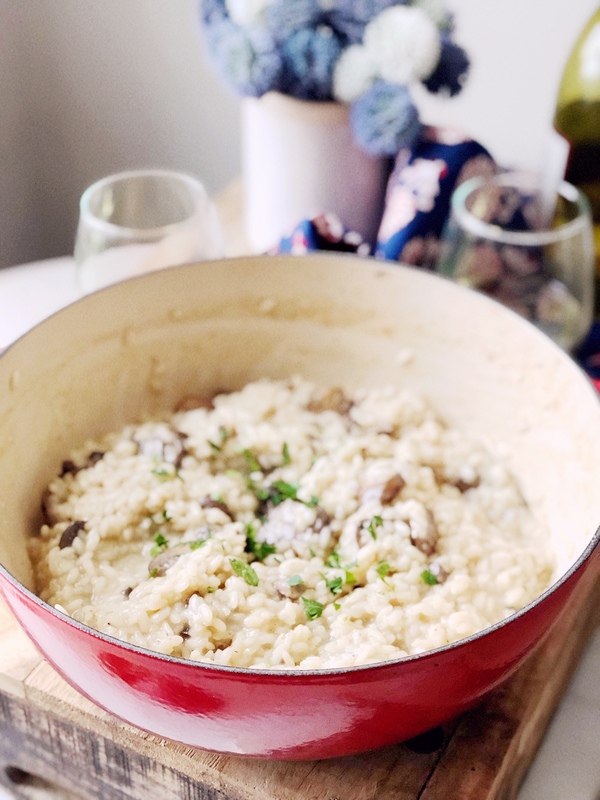 It was creamy, soft, hot, cheesy and a flavor I can remember so distinctly every time I think of that first time I had risotto. 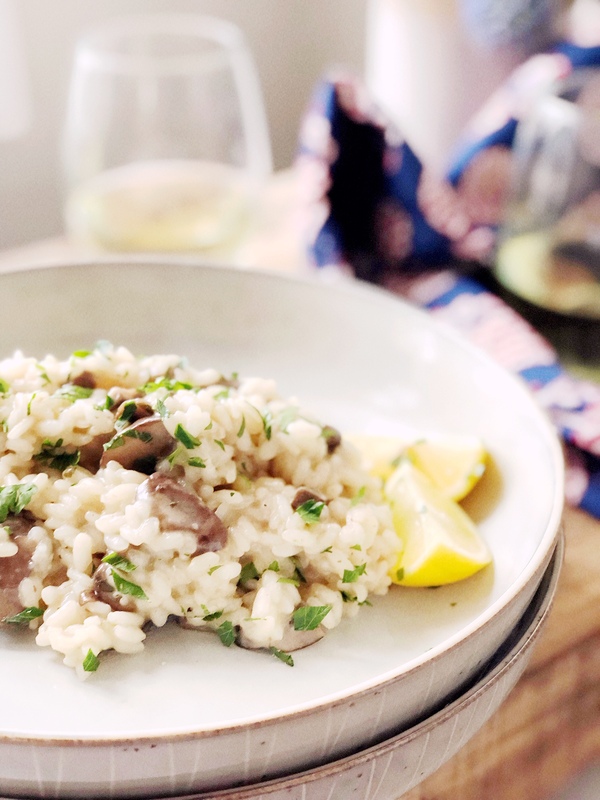 Continuing on this week’s theme of a meatless party, I felt like a risotto really needed to be the star of the show. Plus – you all know how much I love a you-do-you-boo recipe – and this is 100% that. 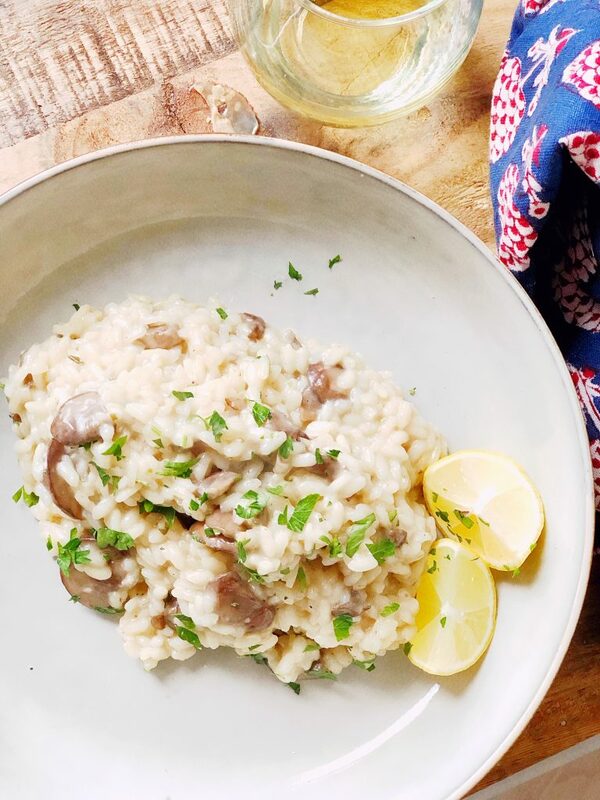 If you’ve had risotto before, this is so easy, it’s just very hands on. 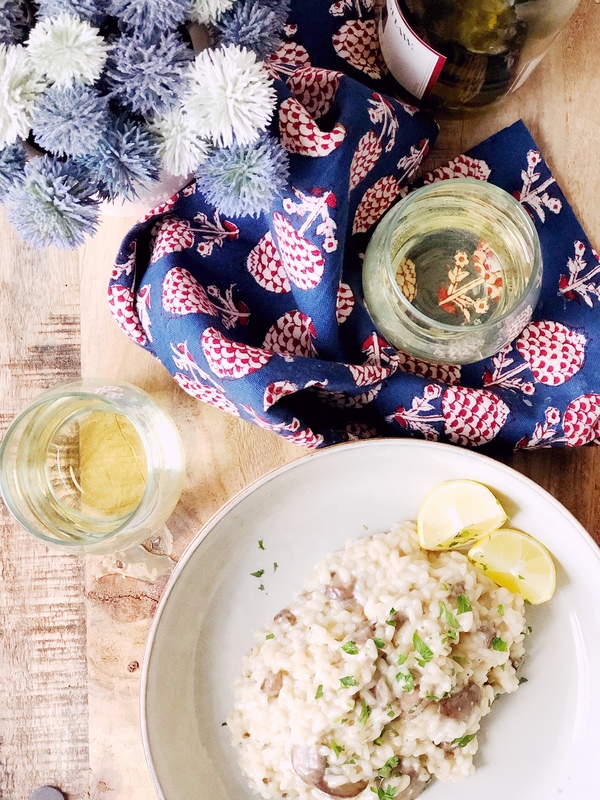 In fact, everything else needs to be done while this risotto is cooking and all of your ingredients need to be ready to go and just an arm’s length away. But with the right prep, and some solid gut instinct, risotto can be on your table in 25 minutes. It’s so fast, in fact, that you could make it for a weeknight dinner for family! Who doesn’t want to come home after a long day at work to a special treat?! I think it’s good to have had risotto before you try making it because you have to really know when it’s done to avoid overcooking the rice. 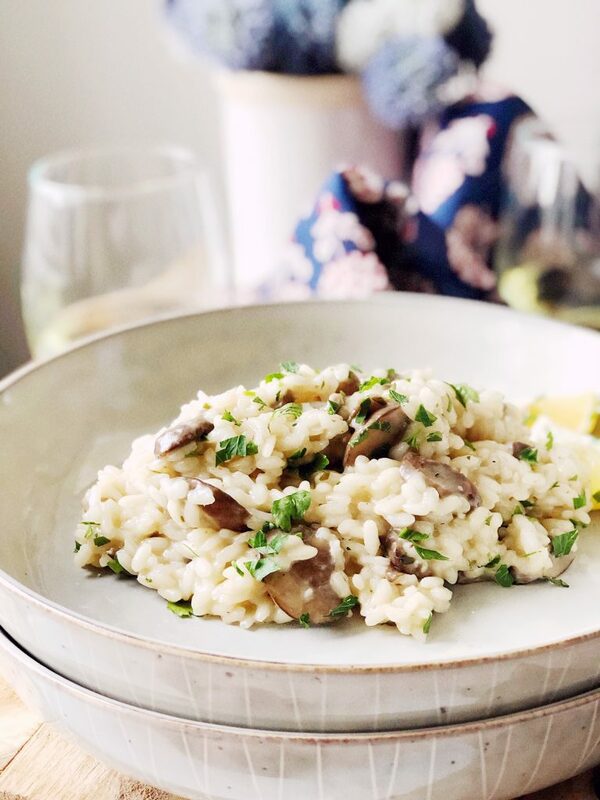 If the rice is overcooked, there’s no going back, no fixing it except to make a new batch and you really don’t want to eat risotto that is completely mushy – trust me. It’s also important to note that while no really special ingredients or equipment is required, you will need arborio rice, not just any rice. 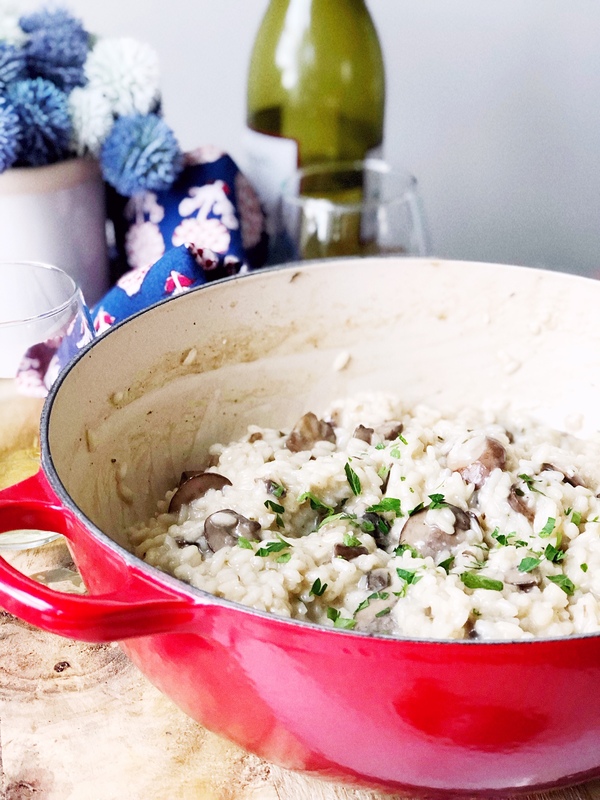 This mushroom risotto is divine and can be totally customized when you understand the basics of making a risotto. Be sure to have all your ingredients at the ready before you start making this dish - you will have to be hands on the whole time. First, prepare all your ingredients and set them close to the stove. In a large saute pan or dutch oven, heat the butter over medium heat. Add shallots and mushrooms and saute until softened, about 4 minutes. Pour rice over onions and stir until all the rice is coated with butter. Add more butter, if needed. Stir until the rice is translucent, but avoid browning the rice. Add the white wine, scraping up any brown bits stuck to the pan. Cook the wine into the rice for about 4-5 minutes, until the wine is mostly absorbed into the rice. 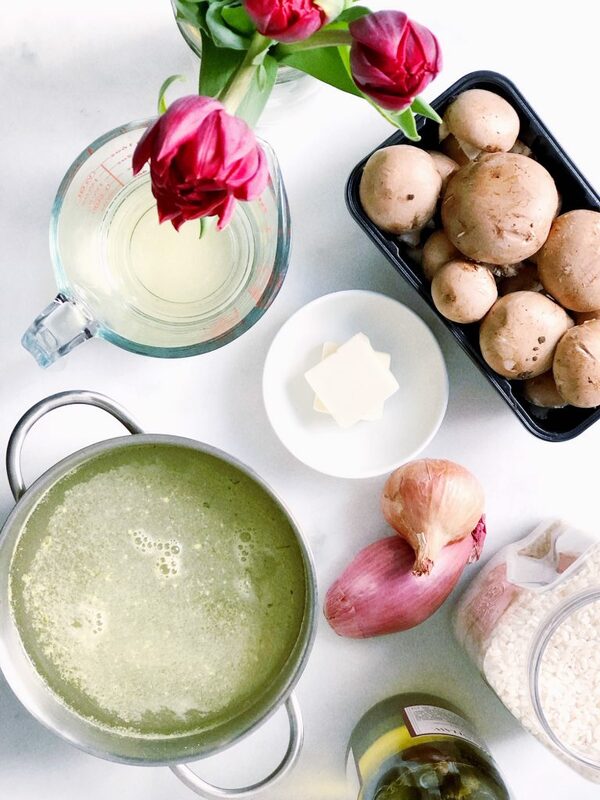 Begin adding the broth .5-1 cup at a time, stirring with each addition until almost completely absorbed. Continue with all broth. Don't rush! Let the rice absorb the broth with each addition. Your rice is done when all the liquid has been absorbed and when you push the rice with your spatula it makes a path in the pan and does not flood back into the pan. Test the doneness with a small bite; risotto should be a little softer than al dente but still give you a bite. Add the cup of parmesan cheese, stir to combine. Plate and serve hot with parsley and lemon if desired. 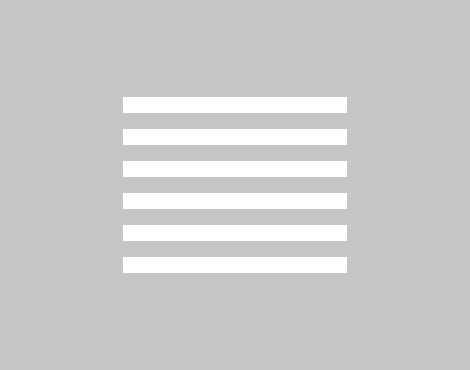 © 2019 HerLongWayHome All Rights Reserved.